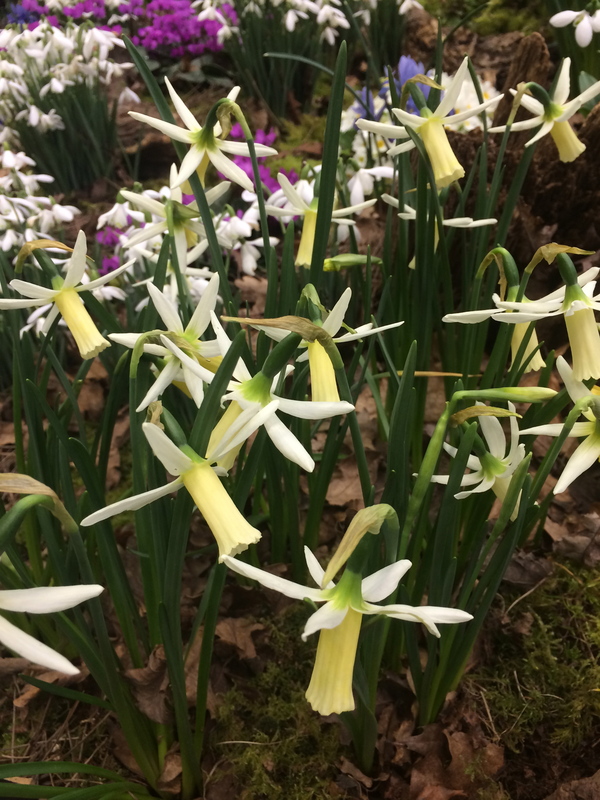 And this image of the elegant, dancing Narcissus ‘Snipe’ on the delightful Broadleigh Bulbs stand was taken on a gloomy Sunday afternoon this February. 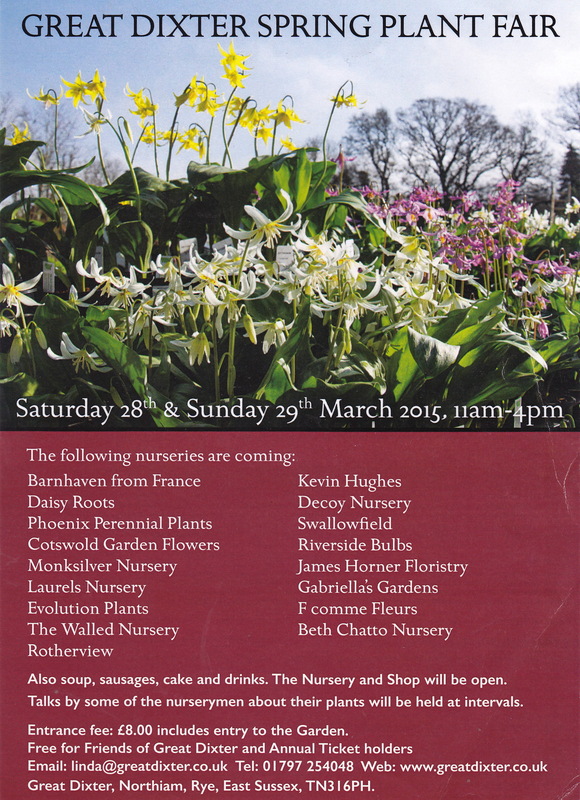 Now firmly on my bulb order list for next September, the photograph will cheer me until early 2016 when I hope to find it flowering in my own garden. 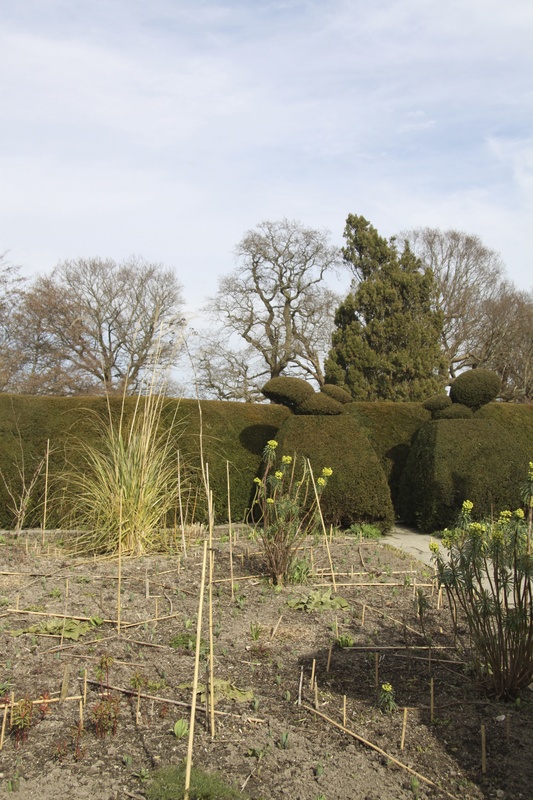 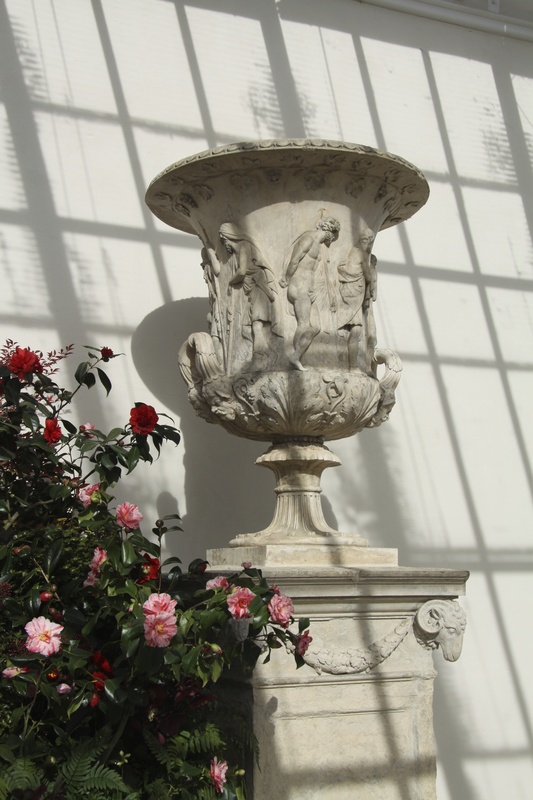 The collection at Chiswick has had an extraordinary history. 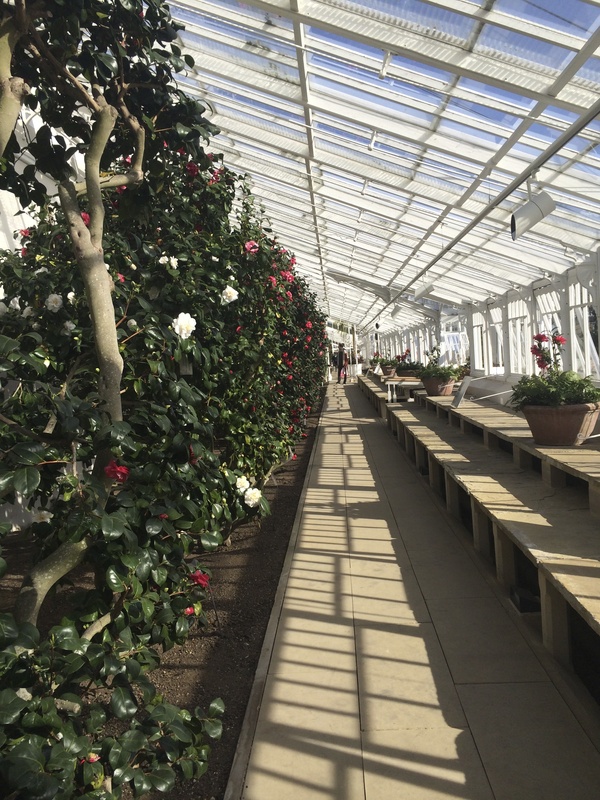 Some of the twelve foot high specimens survived bomb damage to the glasshouse during the Second World War and despite periods of considerable neglect they have managed to keep going – whereas a once similar collection at Chatsworth no longer exists. 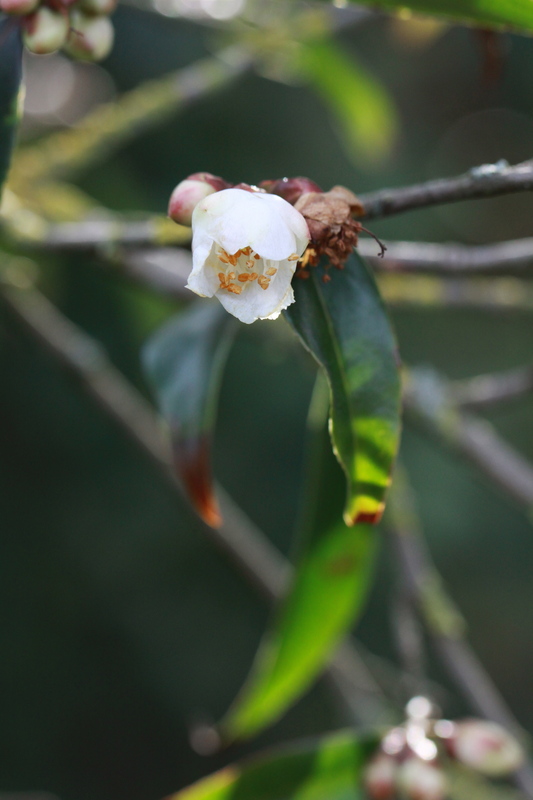 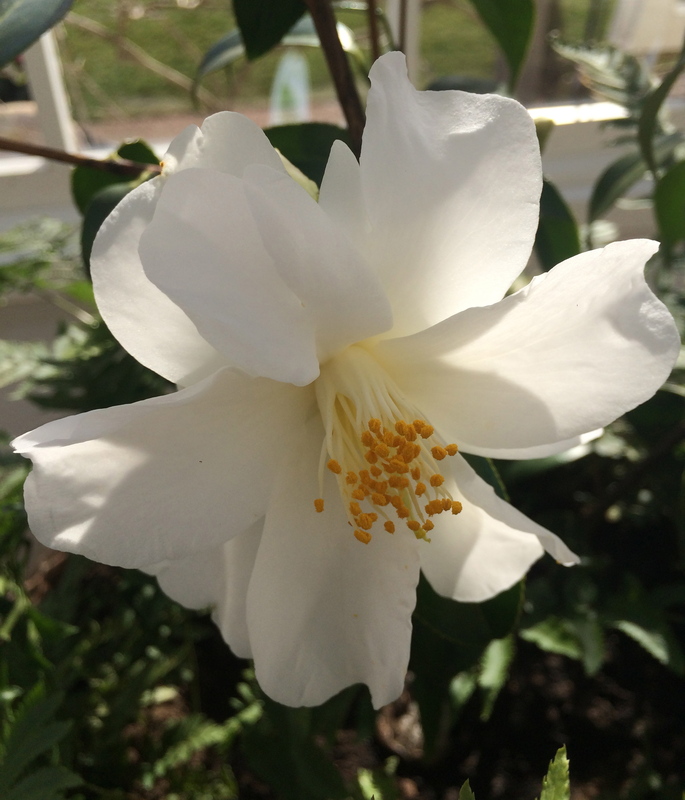 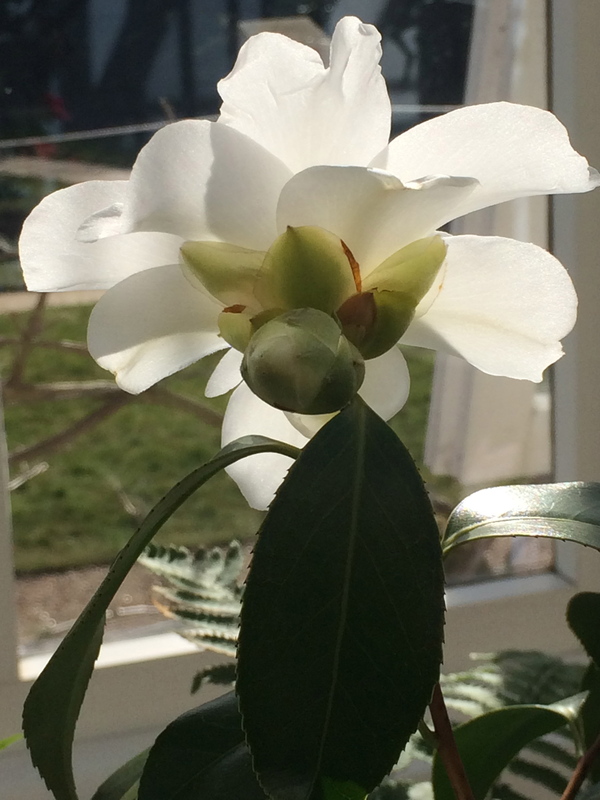 I have always liked this elegant, white-flowered camellia which has glossy dark green leaves, translucent white petals and a relaxed, upright habit. 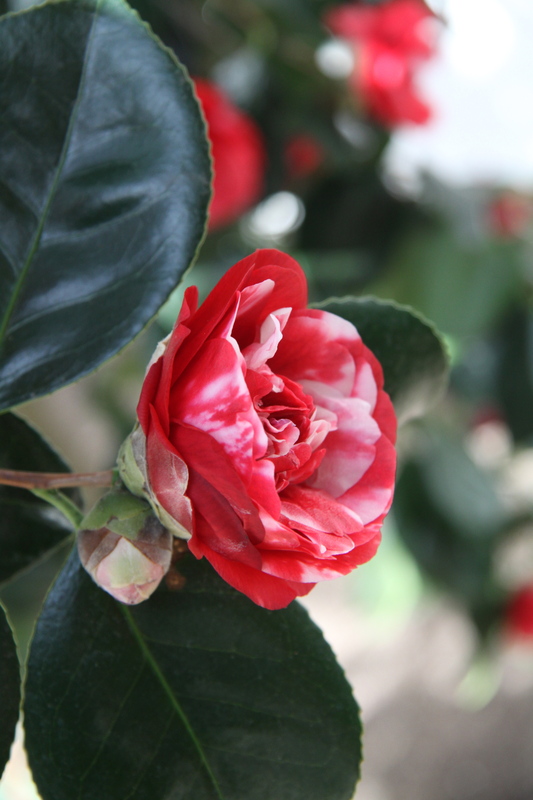 It is known as an excellent camellia for training along a shady fence. 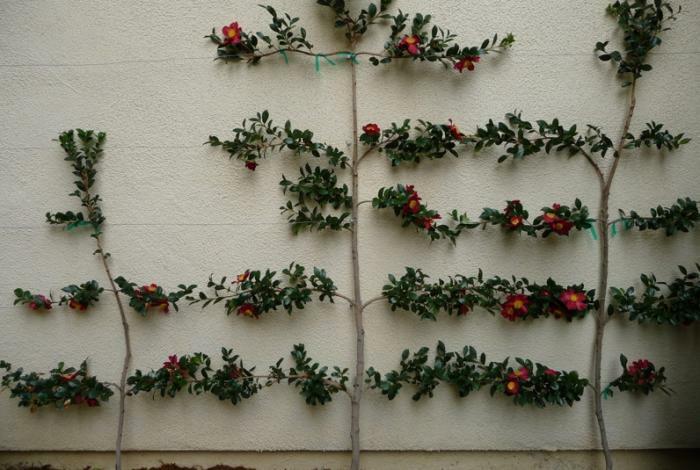 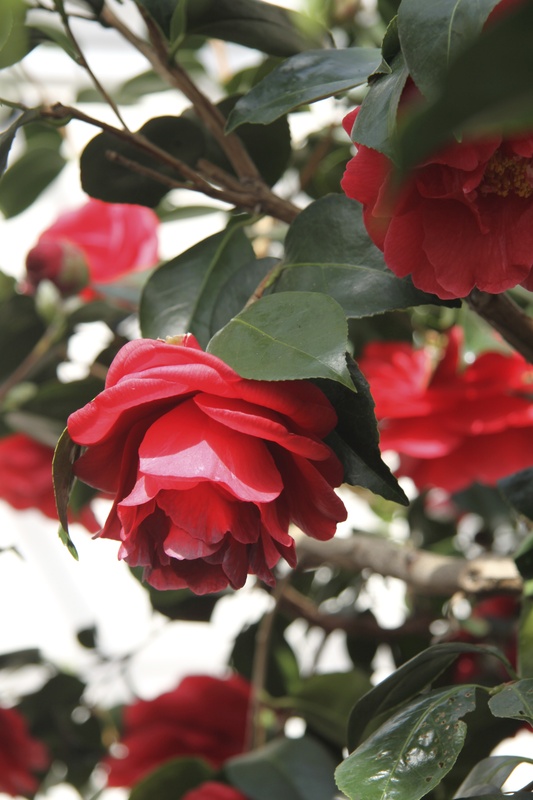 I would love to try it, but can’t quite imagine how effective it would be in the flesh – perhaps this image of an immaculately trained red camellia, found on the seductive website Gardenista, will tempt someone to give it a go? 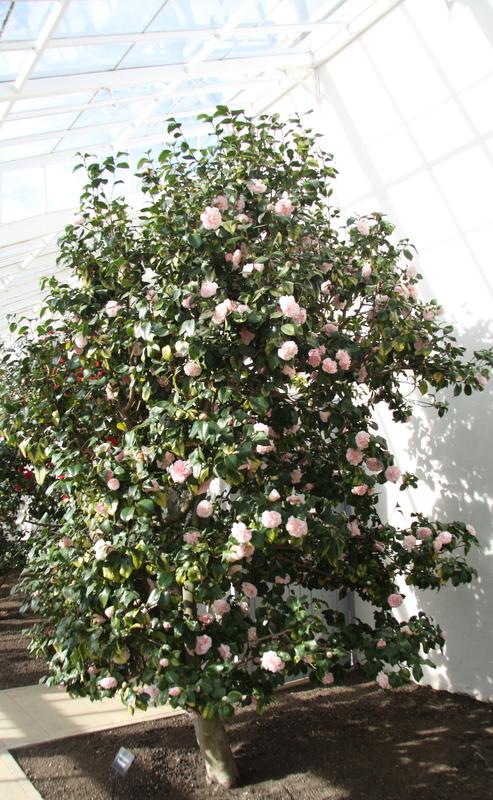 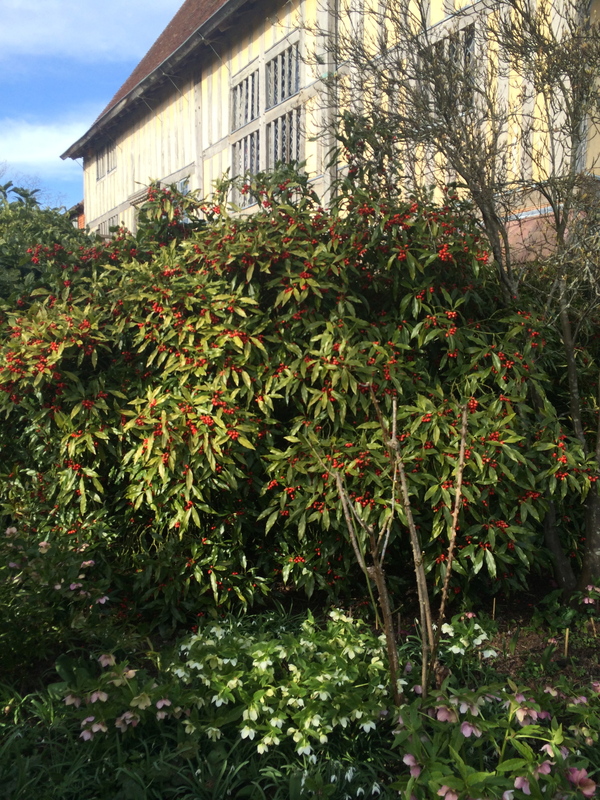 It is a relief to step outside the conservatory and find a further enormous tree of a camellia planted jauntily in the open air, taking charge of the glass house. 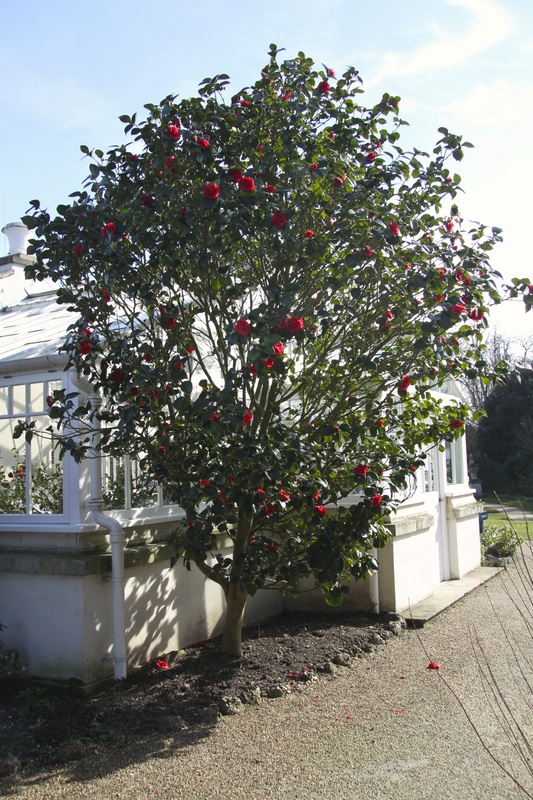 This is no longer a beauty parade – it is just a wonderful specimen tree, with good space around it, welcoming you into the handsome white painted glass house. 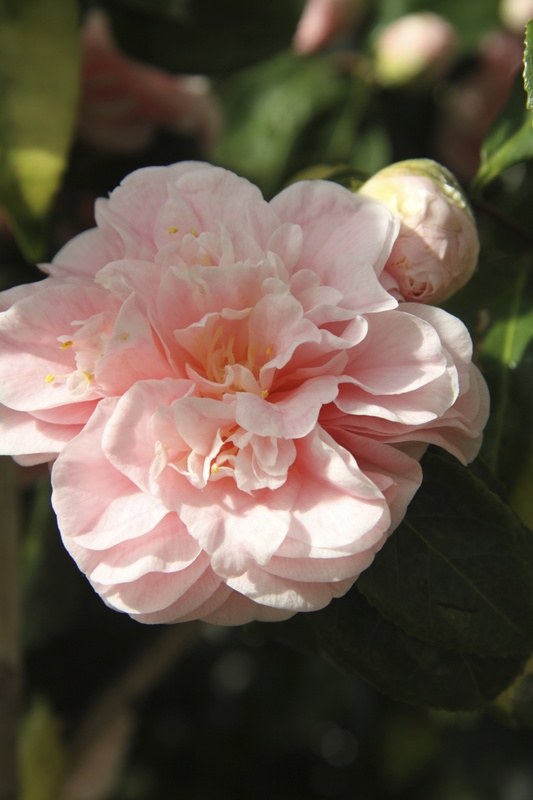 The key with camellias in a garden situation is to think hard about how they will work in context before being seduced by the enticing brilliance of a particular flower. 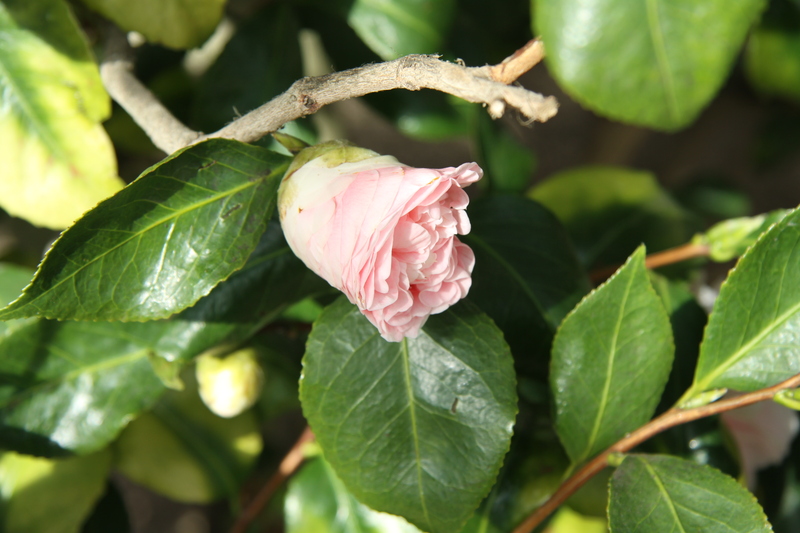 There are too many camellias out there, chosen for the perkiness of their flower, but looking brash and lonely in the middle of a front garden or wintery border. 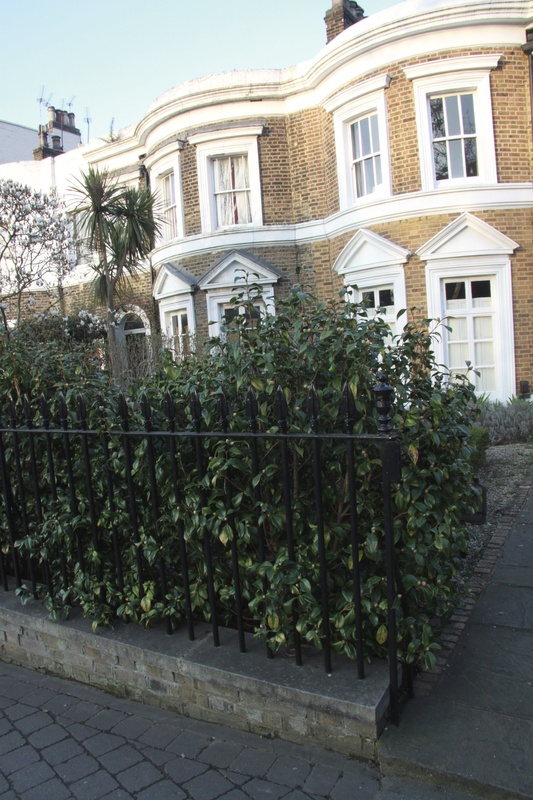 ‘Forest Green’ is late to flower but when it does the hedge is lit up by dashes of brilliant carmine, and for the rest of the year it is a handsome foil to an immaculate knot garden. 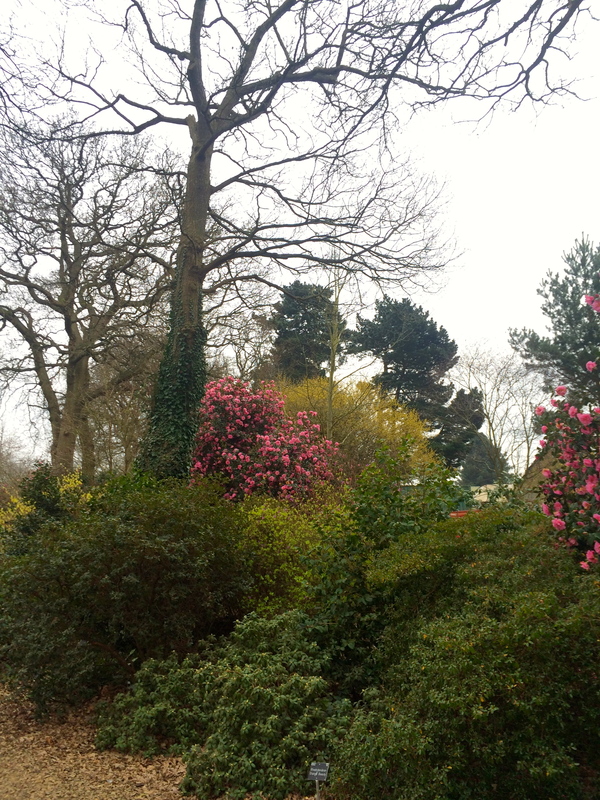 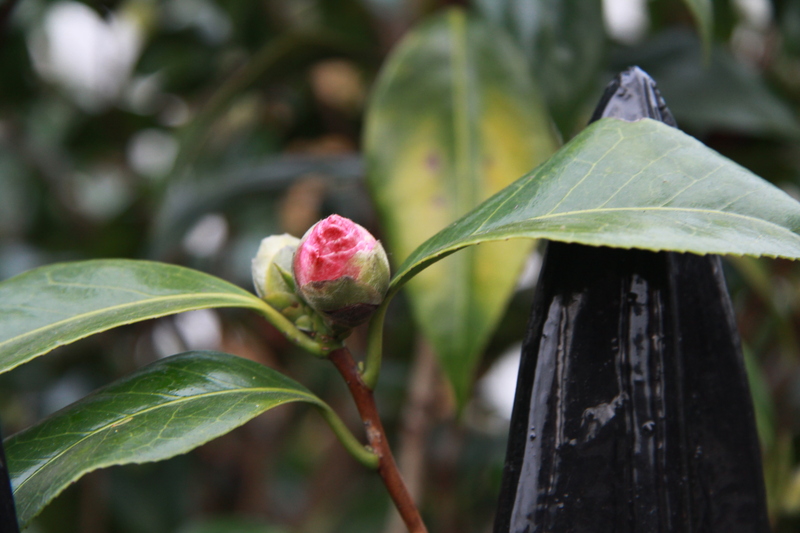 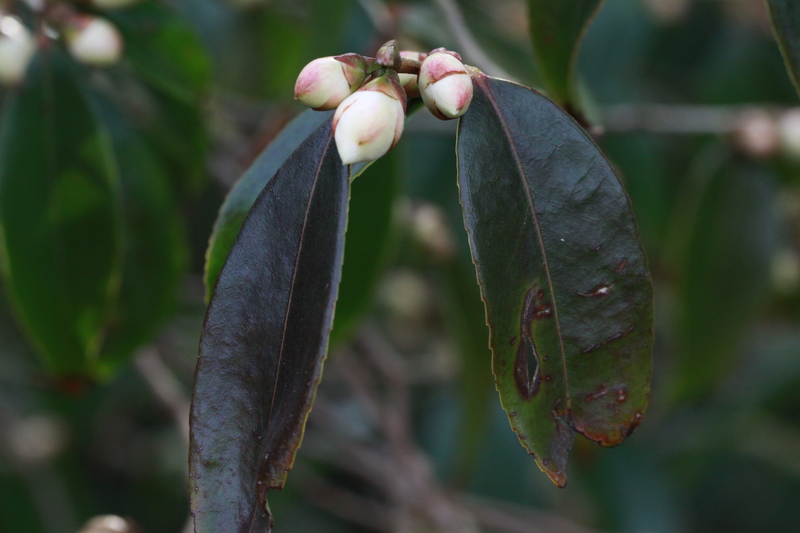 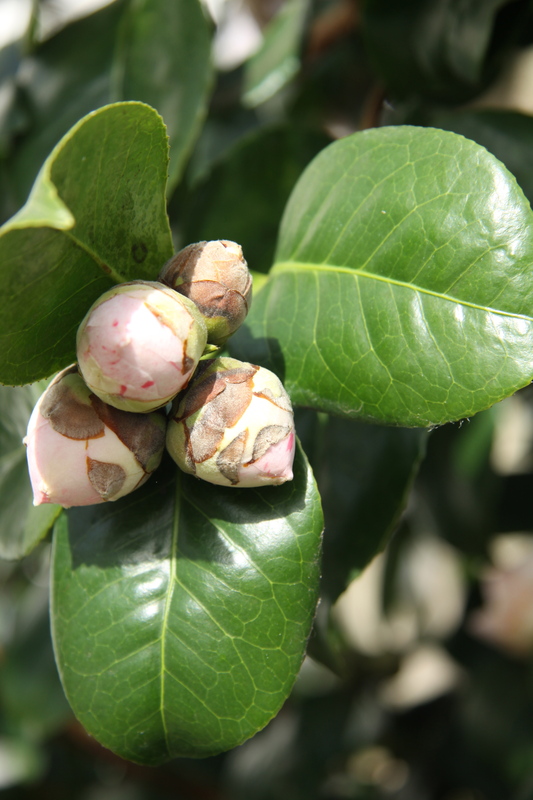 Another way to go to with camellias is to find a gentler form which will work with, and not against, a planting scheme. 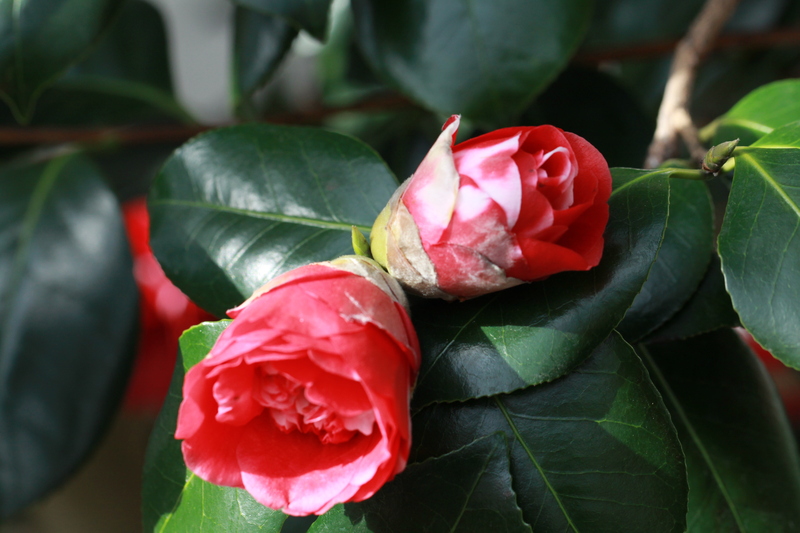 My absolute favourite camellia is Camellia ‘Cornish show’. 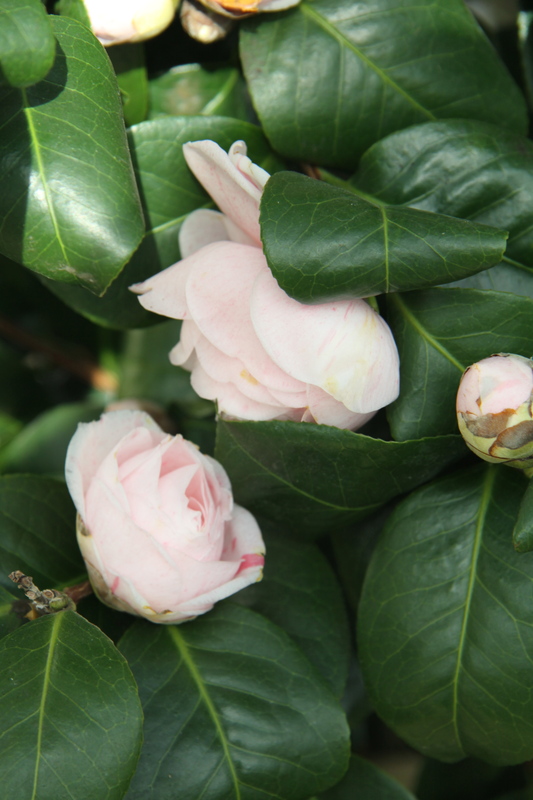 This is a compact camellia with a relaxed, slightly arching habit and very pretty single white, fragrant flowers, tinged pink on the reverse of the petals. 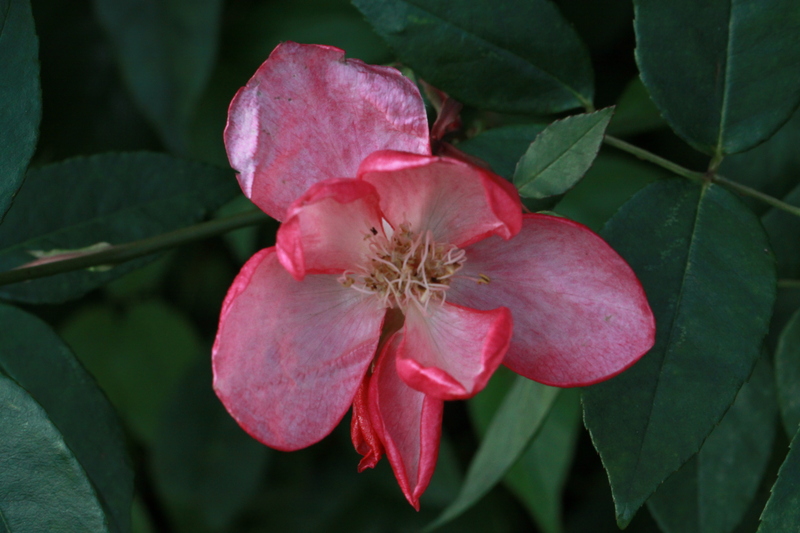 There is a wonderful specimen of this in a woodland edge planting at the Chelsea Physic Garden. 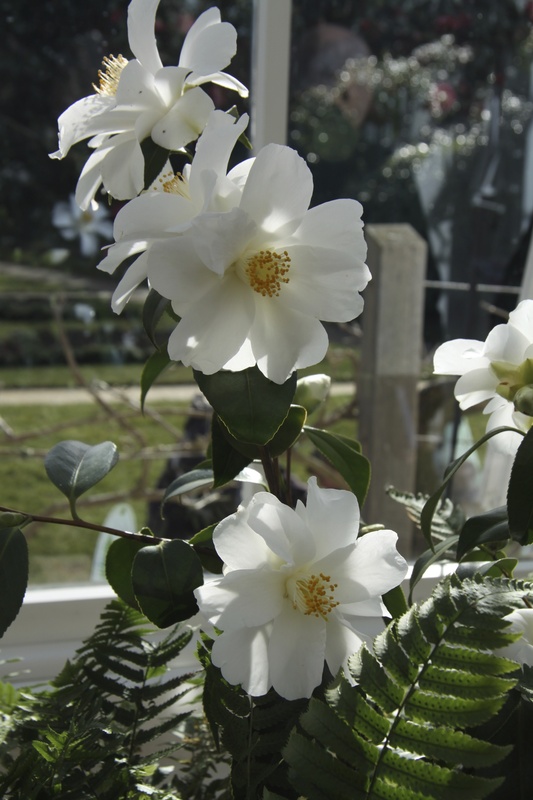 As with all camellias, ‘Cornish Snow’ prefers acidic conditions, but I plan to follow Monty Don’s example – he planted a Camellia ‘Cornish Snow’ a few years ago in neutral soil in the Gardener’s World garden and has been successfully using composted bracken around the plant to reduce the pH of the soil. 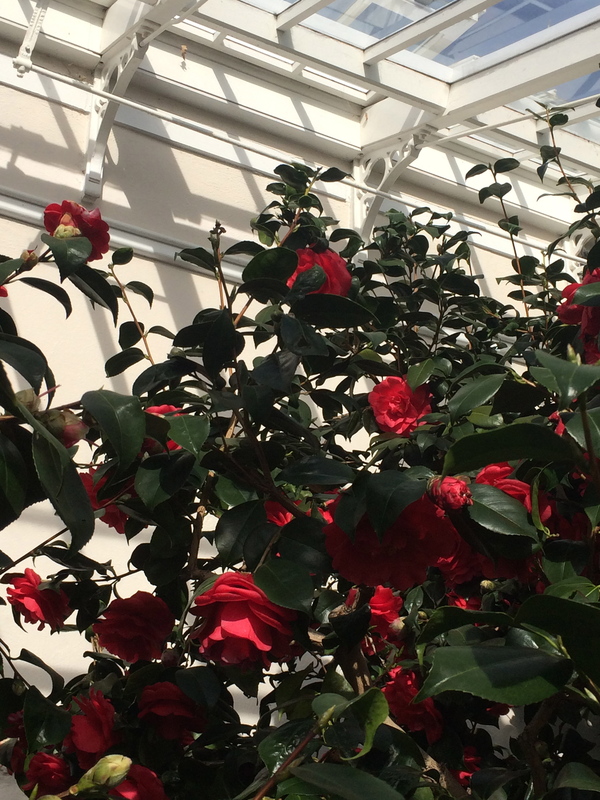 It is worth visiting the Chelsea Physic Garden just to see this very lovely camellia covered in white flowers – it is planted next to the fantastic Rosa x odorata ‘Bengal Crimson’, famous for being in flower every day of the year, and it was indeed blooming gently all over earlier this month. 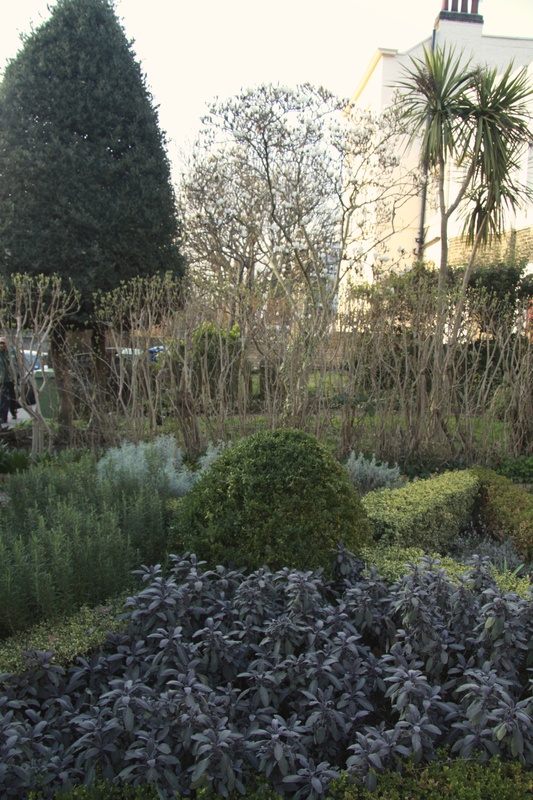 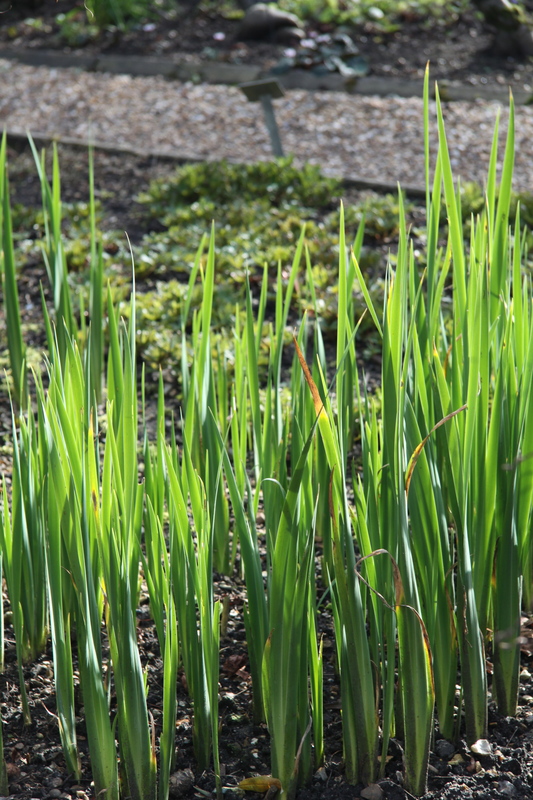 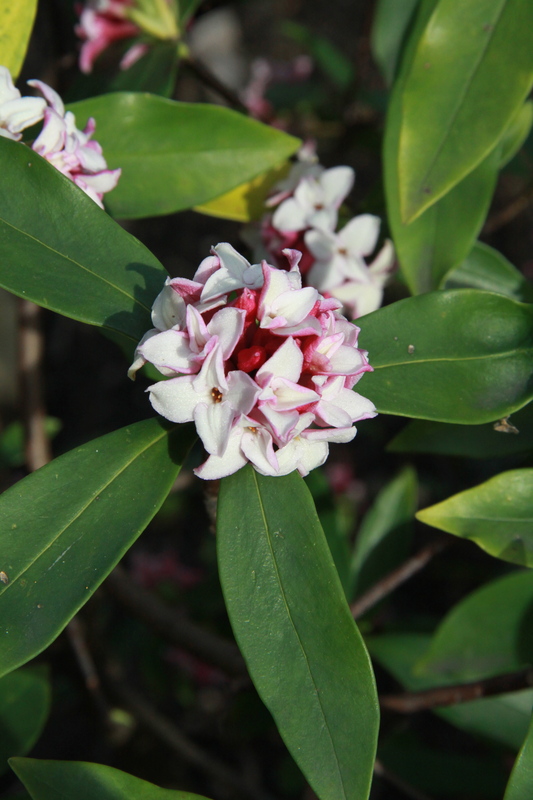 Elsewhere in the garden was a perfect, rounded specimen of the lemony-scented Daphne odora and wonderful shoots of Iris orientalis catching the cool spring sunshine. 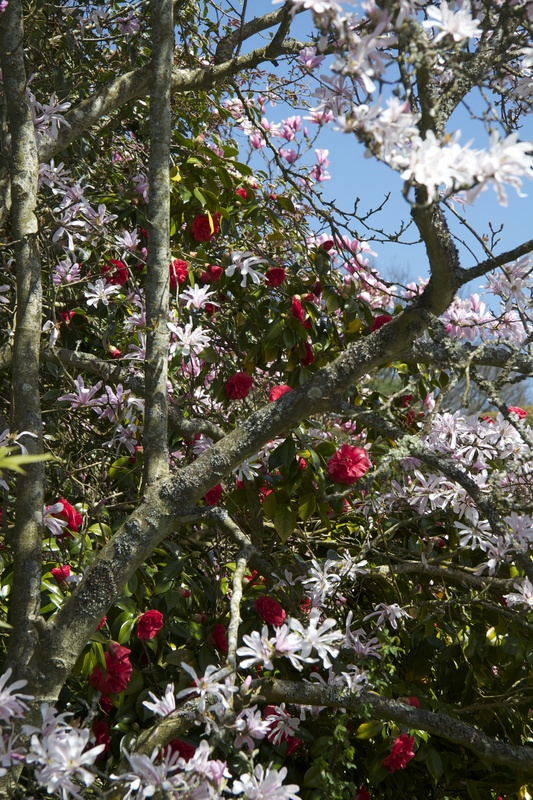 Where there is space of course, and the right soil, camellias provide a vital early radiance to the spring woodland garden. 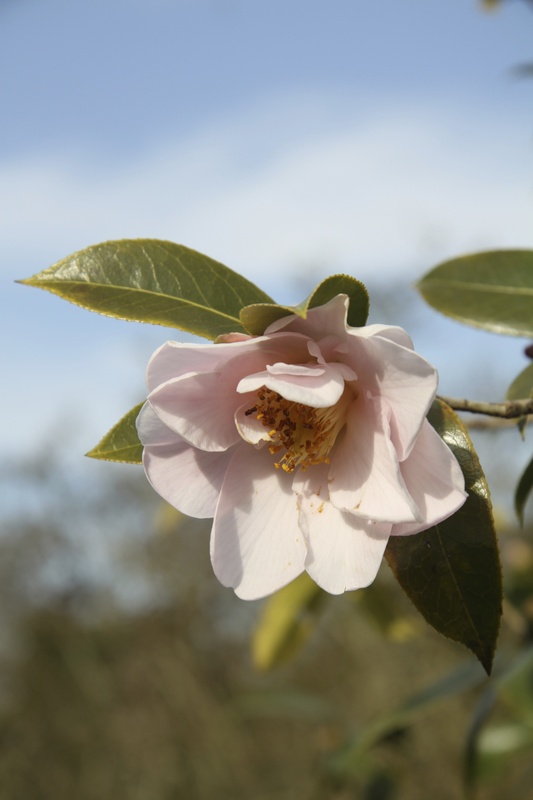 Here at RHS Wisley camellias have the chance to become substantial plants and look great because they are nestled amongst shrubs and trees of similar scale. 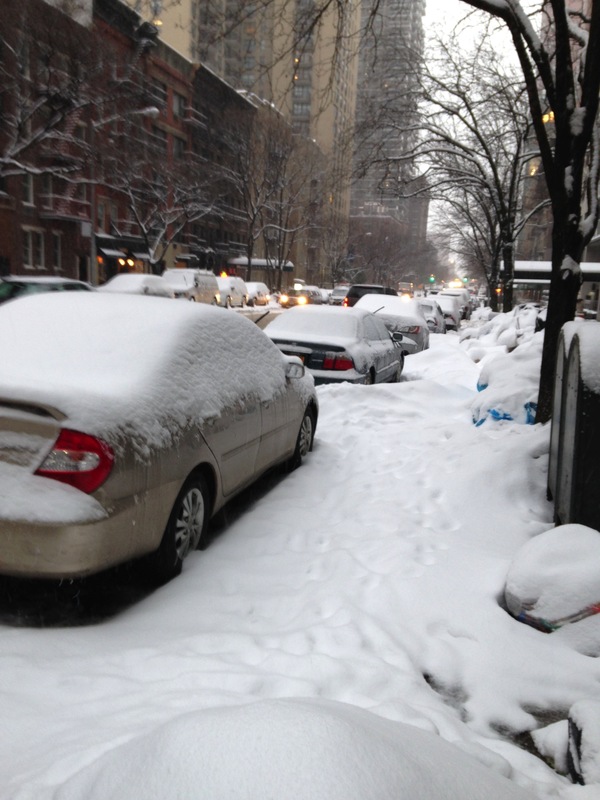 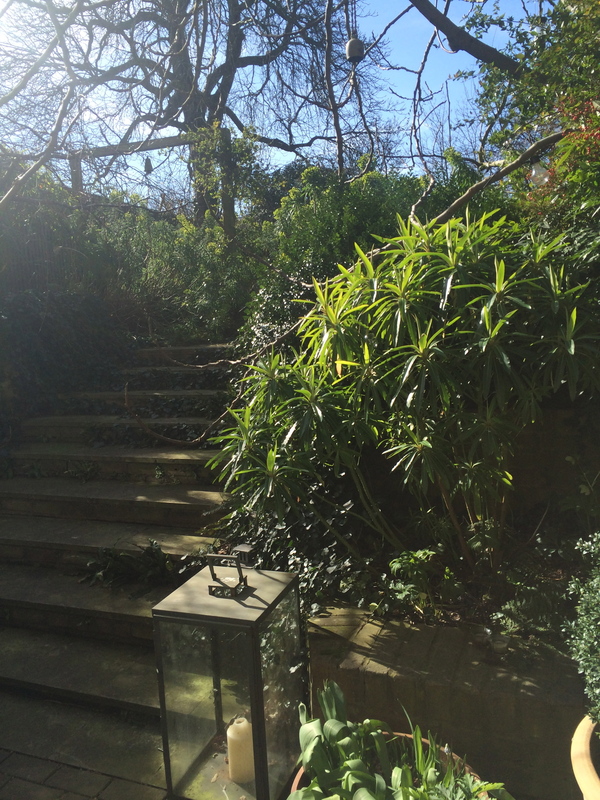 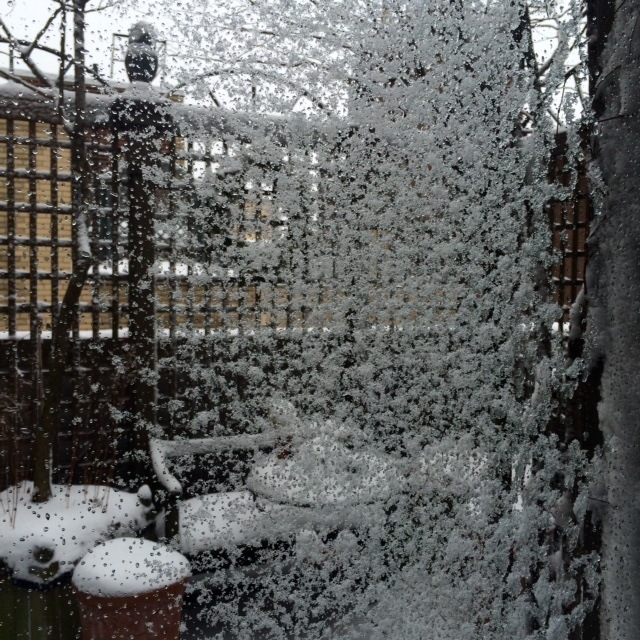 But in London the sun is – amazingly – still shining. 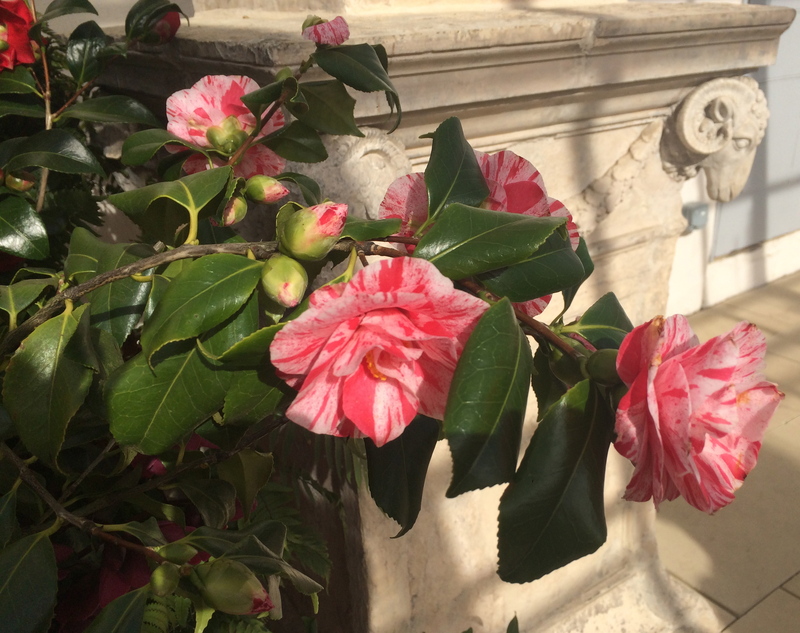 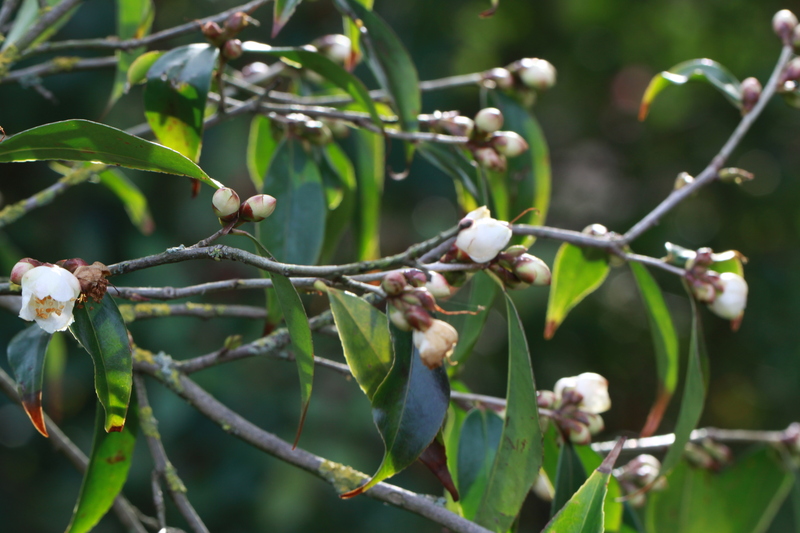 There remains another week to wander up and down the aisle of brilliant champion camellias at Chiswick House (the Camellia Show runs until March 29th) or you could slip into the Chelsea Physic Garden any week day to admire Camellia ‘Cornish Show’. 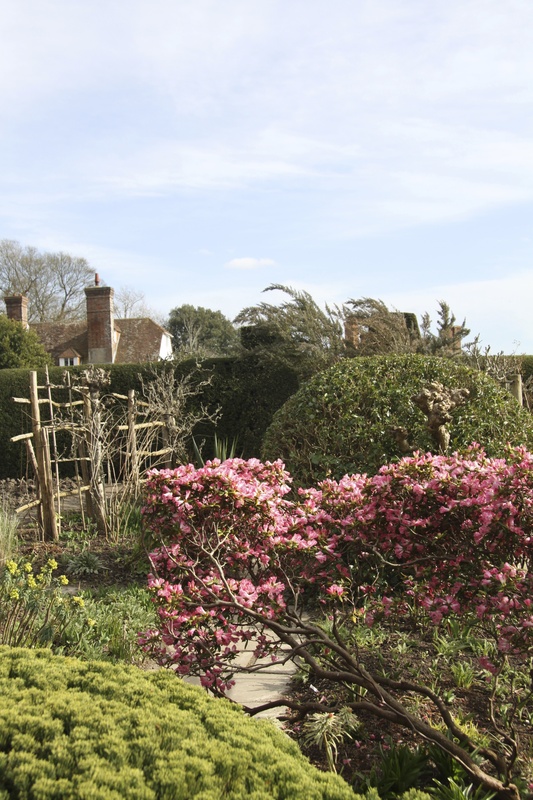 If you want a wonderful fix of spring garden plus the chance to buy rare and gorgeous plants of every kind, head to the unusual and generous Great Dixter Spring Plant Fair next weekend. 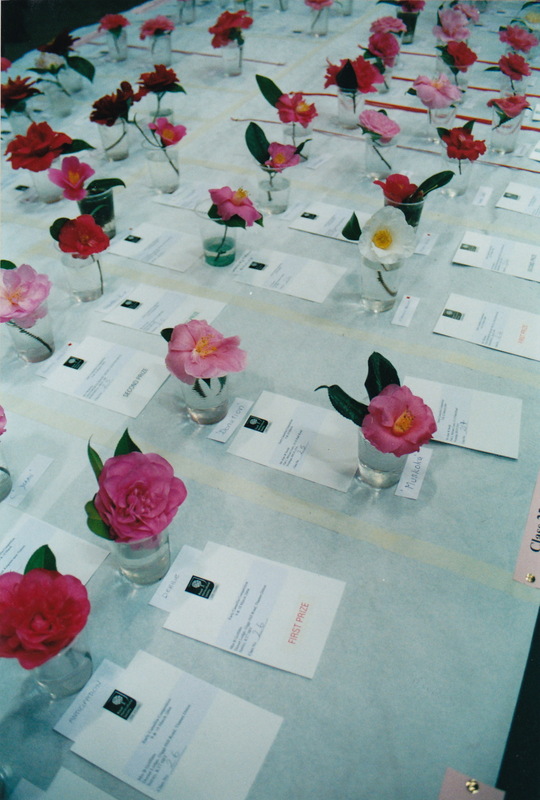 This entry was posted in Gardens and tagged Aucuba japonica f longifolia, Battleston Hill, Broadleigh Bulbs, CAMELLIA 'CORNISH SNOW', CAMELLIA FOREST GREEN, Camellia japonica 'Coralina', Camellia japonica 'Gray's Invincible', Camellia japonica 'Incanarta', CAMELLIA JAPONICA 'LILY PONS', Camellia japonica 'Rubra Plena', CAMELLIAS, Chelsea Physic Garden, CHISWICK HOUSE, Coade stone Vase, Daphne odora, Dryopteris affinis, Gardenista, Great Dixter, Great Dixter Plant Fair, Iris orientalis, Narcissus, Narcissus 'Snipe', RHS London Plant and Potato Fair, RHS WISLEY, Rosa x odorata Bengal Crimson, The London Plant and Potato Fair, Trehane Nursery on March 22, 2015 by nonmorris.